Ace Attorney: Apollo Justice is confirmed for Android and iOS devices by Capcom Mobile. Players start as rookie defense attorney Apollo Justice as he visits crime scenes, questions key witnesses and collects vital evidence before stepping into the courtroom to prove his clients’ innocence. Facing Apollo across the courtroom is the highly talented and flamboyant prosecutor Klavier Gavin who, in addition to being a legal genius, is also lead singer with Gavinners, a highly successful rock band with a string of hits to their name. Just look how beautiful the Judge looks compared to the HD Trilogy. Have in mind, they used exactly the same sprite in the original trilogy and AJ games. They improved the shading of his robe between the trilogy and AJ, but that’s obviously tangential to the point because it seems the biggest change here between the HD sprites is the facial design. But the sprite is fundamentally the same, as the only thing changed are the robe colors. His sprite in AJ is slightly cut off to fit in the new background art. 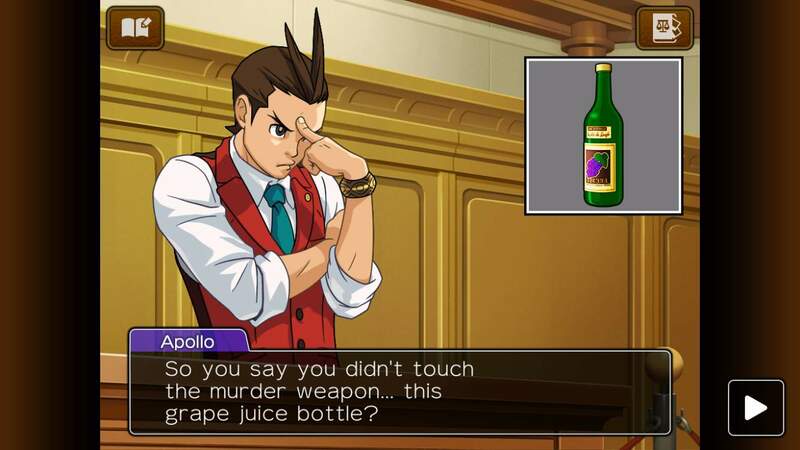 New Ace Attorney: Apollo Justice on mobile devices has some neat new features as well. There will be an optimized the UI and graphics for smartphones and tablets. Also, there will be an all-new courtroom adventure. The hand-drawn look is far better this time around. It looks nearly identical to the official art. It looks like they actually put effort into it. It’s just nice to see people have a different means to play, what many personally find to be, one of the series’ greatest games. Next articleMars Rover Hoax: Is NASA Really Making A Fool Out Of Us By Faking The Mars Rover Landing?